“This is a very special honor to service with an outstanding Board of Trustees. The knowledge I was exposed to at Florida State enabled accomplishments beyond my imagination” said Jim Henderson. 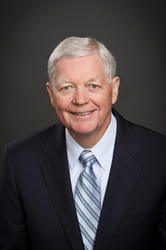 AssuredPartners, Inc. is pleased to announce Chairman and CEO Jim Henderson has joined the Board of Trustees at Florida State University. Mr. Henderson is a Florida State University graduate with a B.A. B.S. in accounting and economics. The FSU Board of Trustees was created in 2001 setting policies for the institution and serving as the institution’s governing board. The thirteen member Board of Trustees is composed of six members appointed by the Governor, five members appointed by the Florida Board of Governors, the Chair of Faculty Senate and the President of the Student Body. FSU has risen another five (5) spots in the US News & World Report “Best Colleges 2018” ranking bringing us even closer to the goal of being in the top 25 best public universities in the country. Headquartered in Lake Mary, Florida, AssuredPartners, Inc. acquires and invests in insurance brokerage businesses (property and casualty, employee benefits, surety and MGU’s) across the United States and in London. From its founding in March of 2011, AssuredPartners now approaches $1 billion in annualized revenue and continues to be one of the fastest growing insurance brokerage firms in the United States* with over 200 offices in 30 states and London. Since 2011, AssuredPartners has acquired more than 190 insurance agencies. For more information, please contact Dean Curtis, CFO, at 407.708.0031 or dean.curtis(at)assuredpartners(dot)com, or visit http://www.assuredpartners.com.